Can you solve the exciting mystery of Chimeras: Mark of Death Collector's Edition? 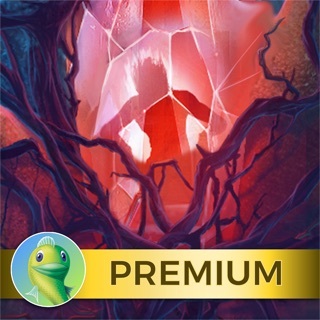 Use your skills to unravel challenging hidden object puzzles, explore beautiful locations and reveal the truth before it is too late! Dive into a strange case of murder and revenge in this haunting Hidden Object mystery! Twelve years ago, a man named Thomas was tried and executed for killing two guards while stealing a Royal Relic. Everyone thought that was the end of it until now, when those involved in the case are being targeted. Who is marking these victims for death, and what does it have to do with a case from so long ago? Seek out the truth as you solve fantastic puzzles and ominous mini-games on your hunt for this stone-cold killer! Heads Up Fellow Gamers - We have a New Game that was released today in the App Store 😀 🎉 🤗. Puppet Show: Bloody Rosie! Thank you Lynx for giving us the tip and putting together that a new release might be coming our way! Looks like, we possibly now might begin to get 2 New Releases a week! What a much needed treat this will be if it happens. Things are looking up for us avid gamers and Loyal Big Fish Supporters. I agree we Lynx, that we all need to let Big Fish know just how much we gave missed 2 New Games a week. I have contacted them many times regarding this, and I want to thank everyone else who has! 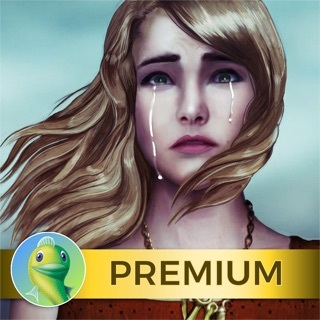 🎈 Let's show Big Fish some ❤️ and quit picking apart the games that are released. As far as my review on Chimeras, I personally found it to be very enjoyable with beautiful graphics. This has always been characteristic of Elephant games. 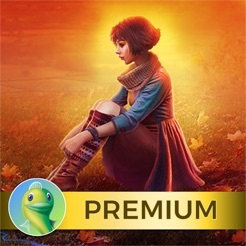 Storyline was good, along with interactive hidden object scenes, puzzles & teleporting map. It was however, too short in length even including the bonus chapter. Recommendation: Buy - Play - Enjoy! Better than many recently released games. There are several puzzles to solve, which make you think, rather than just extending a monotonous task in order to extend game play time, like so many of the newer games are now doing. I was disappointed that there weren't more hidden object games. I only played the sample game, and it had only ONE hidden object scene. When the price comes down, I’ll probably buy it! Update: I bought it on sale. It's okay, but a bit glitchy. AND, they didn’t bother to proofread. That drives me crazy. Does no one care about quality anymore? Hire someone to read through the written materials before publishing! And, while you're at it, have them try to decipher the directions on your puzzles. I gave up on a couple because I couldn’t understand what I was supposed to do! I think it was probably a translation problem. I'm glad I didn’t pay full price. I'd be really upset. I actually liked the storyline, although they do not try to hide who the killer is. Elephant always has better than average puzzles, and this is true in this game. They also make an effort at originality, such as the sign language game. I experienced no glitches. I felt the hops were better than in most games, lots of variety. The music is a nice addition. You collect a morphing musical instrument in every scene, and puzzle pieces randomly throughout the game. At the end, you can put together the puzzle pieces to receive 4 screen savers. There are 12 “sin” cards to collect as well. The bonus game is interesting. After finishing the bonus chapter, there is a secret room where you can replay puzzles and hops. Overall, I thought the game was fun!